Greenwood Village, CO – February 6, 2016 – Payroll Vault Franchising, an emerging franchisor, announces our newest awarded franchise location in Texas! Please welcome Amy Taylor-Knight and Robert Knight of Austin, TX! 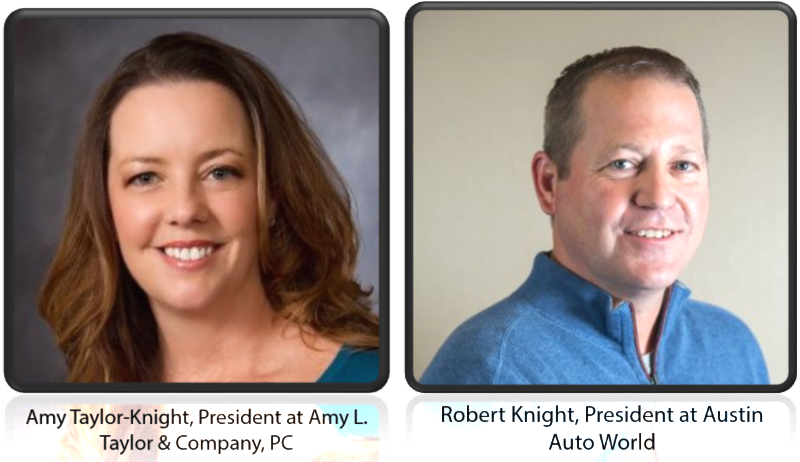 Amy, the Founder/President of Amy L. Taylor & Company, PC and Robert, President of Austin Auto World, have been considering a Payroll Vault franchise since Payroll Vault began franchising in 2012. With the growing demand and overwhelming market trends, Amy and Robert chose to pursue their consideration with great enthusiasm. Additionally, they have a dedicated and enthusiastic staff in place to take on the operational demands and marketing functions from day one. Payroll Vault Franchising has enjoyed a successful four years, now residing in 16 states with 33 awarded locations. Welcome to the Payroll Vault Team! Headquartered in Greenwood Village, Colorado, Payroll Vault Franchising provides entrepreneurs the opportunity to startup their own small business with the support of our team of experts. With decades of experience, we instruct our franchisees on small business best practices and providing payroll support. Since our launch in 2012, Payroll Vault Franchising has grown rapidly as clients realized the immense value of the service as a business. As a result, today Payroll Vault Franchising is recognized as a national leader in the industry. For more information, please visit PayrollVaultFranchise.com.